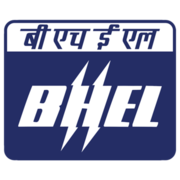 BHEL Recruitment 2019 - Apply Online for 80 Engineer & Supervisor Posts in BHEL, Chennai, Tamil Nadu on a Temporary Basis. Online Applications are invited by Bharat Heavy Electricals Limited from 06 Feb 2019 to 18 Feb 2019 for 80 vacancies. Pay the Examination Fee through Bank DD drawn in favour of BHEL, PSSR payable at Chennai. Full-Time Bachelor’s Degree in Engineering/ Technology in Civil Engg. OR 5 Year Integrated Master’s degree OR Dual Degree Programme in Engineering or Technology in Civil Engineering with minimum 60% marks in aggregate for General / OBC and 50% marks in aggregate for SC/ST candidates. Experience: Execution of Civil and structural works in Infrastructure Industries such as Power Plants, Steel, Cement, Refineries, Petro-chemical or any other Large Scale Industrial / Infrastructure Projects. Full-Time Diploma in Civil Engineering with minimum 60% marks in aggregate for General / OBC and 50% marks in aggregate for SC/ST candidates. Experience: Experience in execution of Civil and structural works in Infrastructure Industries such as Power Plants, Steel, Cement, Refineries, Petro-chemical or any other Large Scale Industrial / Infrastructure Projects. Eligible candidates may apply online at BHEL's website (direct link is given below) from 06 Feb 2019 to 18 Feb 2019. Go to "Career With BHEL > Current Job Opening" & Select the desired post. After applying online applicants need to send the hard copy/print out of online application form along with self-certified copies of all the relevant documents in support of date of Birth, Qualification, Experience, Category Certificate, PH certificate (if applicable), J&K Domicile Certificate (if applicable), latest pay slip etc. to Addl.General Manager(HR) BHEL, Power Sector Southern Region, 690, EVR Periyar Building, Anna Salai, Chennai-600035. The application with all relevant documents should reach on or before 25 Feb 2019.